It has been stated that the UN Secretary General’s report regarding UN Forces’ activities in the island which covers the process between 16 December 2012 and 20 June 2013 has been evaluated by the TRNC Presidency. into consideration but there are some wrong attitudes besides some positive and negative elements and initiatives have been continuing to correct these wrong attitudes. Moreover, according to the information given by the Presidency, it was stated that a preliminary activity report has reached the Presidency and the report is expected to be published officially in the following days and it is also expected that the Security Council will take a decision on the issue. The Presidency also stated that related associations have evaluated the report and at the first sight, the report is seen to have a technical content and written by taking a balance into consideration. TRNC Presidency made a statement and said that besides its positive and negative elements the report also includes some wrong attitudes as it is and stressed that initiatives are continuing to correct the negative and wrong elements. two leaders held on 30th May, 2013, the developments regarding the Technical Committee works and the restoration works in respect of the Apostolos Andreas Monastery in the TRNC. “Even if it was not mentioned openly in the report; it has been known that both the dinner between the two leaders and the positive developments regarding the restoration of Apostolos Andreas Monastery are being realized as a result of the initiatives taken and proactive politics followed by the Turkish Cypriots. 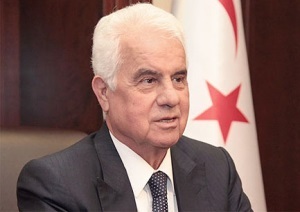 Stating that the developments made related to the Technical Committee are being realized as a result of the Turkish Cypriots’ flexible and constructive attitudes”, the Presidency noted that the hydrocarbon deposits explored around the island are the common property of the two communities and any co-operation regarding this issue will contribute to a consensus which would be positive to be mentioned in the report. Reminding that the Turkish Cypriot side has made two proposals which still have validity; the TRNC Presidency stated that referring to the inhumane restrictions, i.e. isolations imposed upon the Turkish Cypriot people, is important. 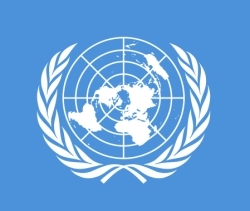 In the statement of the Presidency, it was stated that the observation and attitude concerning the factors mentioned in the preliminary report’s sections related with the activities of UN Peacekeeping Force carried on in the territory will be presented to the attention of UN authorities through the TRNC Foreign Affairs Ministry. Emphasizing that they found the references like so-called “Republic of Cyprus” and so-called “Government of Cyprus” mentioned in all reports and in the decisions of Security Council unacceptable, the Presidency pointed out that to include such references in the paragraphs concerning the mission of UN Secretary General is highly inconvenient and as defined by United Nations Security Council, the mission of the UNSG is in line with the two sides and two leaders.